ACT LIKE YOU KNOW: Jackson, with co-star Volier Johnson in a scene from Same Difference. Away from the spotlight, actress Shantol Jackson is a soft-spoken, painfully shy young lady. But she positively roars to life once she slips into character. Just check out her megawatt performance as Deon Silvera’s bratty teen daughter Candy-Bar in this season’s ensemble laughfest Same Difference (from DMH Productions), a role that showcases her blossoming range. In case you are wondering where you’ve seen her before, Jackson has been on the radar as one of theatre’s rising stars to watch ever since she appeared in plays like Bad Apple (2014) and this year’s Hurricane Honeymoon, impressing us with her conviction and emotional intelligence. These days, Miss Jackson is busy banking time on the small screen as well, co-starring in TV J’s brand-new teen series Real Friends, while pursuing studies in business at the University College of the Caribbean. For this 22-year-old Ardenne High alum and Broadway aspirant, keeping eyes on the prize and taking notes from the greats are permanent entries on her to-do list. Here, she chats with TALLAWAH about ambition, acting up a storm, and having the right attitude. TALLAWAH: What’s the best piece of advice you’ve received since embarking on a career in the performing arts? Shantol Jackson: As an actor, you have to feel because you shouldn’t go on the stage and act. Be the character. It has been an amazing experience. I’m always observing and learning. Sometimes the process is challenging because every director I’ve worked with is different; they like different techniques. But I always enjoy the outcome. TALLAWAH: When did you know that you wanted to become a serious actress? S.J. : I think it was right after I left Ardenne. I started UWI, but then I realized that I wanted to continue performing. So I joined Tableaux, and I started growing from there. Different directors saw me and invited me to work with them on their productions. Being in theatre is something I’m really enjoying, and after a while I realized this is something I want to be doing for a very long time. TALLAWAH: What have you been learning about yourself? S.J. : That I need to control my nerves (Laughs). I need to have patience. Success is not something I can rush; it’s a process and I have to take my time to get there. Everytime I do a new show or give a great performance it’s like I’m proving to myself that this is what I was born to do. 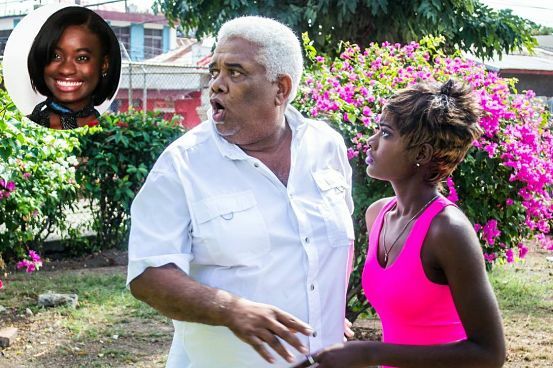 TALLAWAH: You starred in a touching TV commercial (opposite Bertina McCaulay) for Jamaica National earlier this year and followed that up with a starring role on TV J’s high-energy new series Real Friends. What’s it been like bringing your talent before the cameras? S.J. : It’s so different. On stage, everything is louder, while on camera you can be a bit more subtle. Doing TV, the transformation is a lot different but I love it, and I’m learning a lot from the experience. On Real Friends, we have a great cast that’s easy to work with. Most of us were friends from before so that makes it even better. We are all young. We have a young director and a young crew, so it’s a learning experience for all of us. 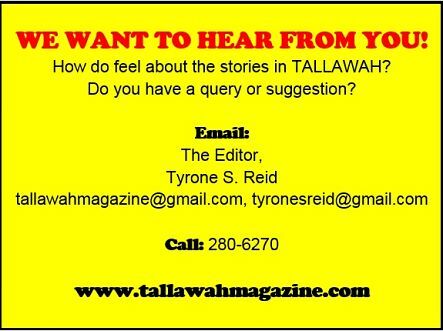 TALLAWAH: Who and what inspires you? S.J. : I’m inspired by people who I want to be like. So I admire women like Leonie Forbes, Meryl Streep. I appreciate working with Patrick Brown and Dahlia Harris. But I have to give a lot of credit to Suzanne Beadle. She’s the first person to recognize my talent, from first form, and started moulding it, teaching me the basic things. S.J. : Hopefully I will still be acting but on a bigger level. I hope by that time I will have a performing-arts degree. I’d love to do Broadway and more film work. TALLAWAH: If you could have a conversation with Apple today, what would you say to her? S.J. : I would tell her to make school-work her number-one priority, graduate and go to university. I hope she learnt from ‘that’ experience. You can never judge a book by its cover, and I hope she learnt that.